You may have come across Hunter Cesare on Youtube even though he has a relatively small channel. 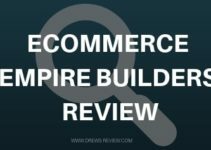 He has already managed to pop out a course named Ecom Hunter Dropshipping Mastercourse which will be the focus of our review today. The course sells for $197 or two payments of $149. huh? I think that's the most ridiculous payment plan i've ever come across. Hunter's focus on his channel is to provide you with the latest tips in ecommerce and marketing. However he's definitely not a serial uploader as at the time of this writing his lastest video is at least 3 weeks old. I guess you'll have to wait for some tips. However, he does give some good advice on things like how to unban your Facebook account (yes it does happen, sigh*) finding winning products, Facebook manual bidding strategies, how to steal winning ad copy, scaling secrets and more. 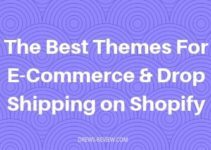 The topics are pretty customary of most channels talking about the same ecom/dropshipping stuff. So nothing out of the ordinary or to find a golden opportunity here. He's reserved most of his targeted training for his course which we will get into right now. Hunter says he created this course because he wish he knew he had the knowledge and training himself when he first started. I'm not entirely sure when he first got into ecom but based on his age it probably wasn't too long ago. Courses in this stuff has been around for years! So in this course the main areas of focus will be Facebook Ads, Scaling, Store optimization, product research email marketing at more. Pretty much what you should expect in a course but let's get a deeper dive into the modules. The course is taught on the Teachable platform which is easy to use and viewable on all platforms. Four videos averaging 3-5 minutes that show you how to get your store set up. Included is an overview of navigation, shipping settings and get your payment processing set up. There are 3 advertising strategies that Hunter breaks down for you in this section. The first is "How to find the first Winning ad for $5" Here shows you a crash lesson on selling and helps you with your first offer. The second strategy is "How to optimize your ad campaign." These 2 videos show you how to refine your offer and another on ad optimization. The third strategy involves manual bidding with one video 8 minutes in length. 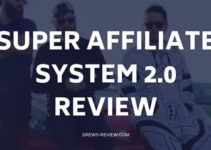 Just one video here 20 minutes in length where Hunter shows you how you can go from $25 a day to 1K a day. This is all hypothetical of course. A couple videos here that show you how to fulfill orders and optionally how you can hire a VA to do this for you. In this module Hunter shows you his own ad campaigns and how they performed. There's discussion on Free+Shipping offers, low ticket manual bidding and giveaway campaigns. I will agree that this course is priced fairly except for the 2-pay. As far as the content goes though it's not very detailed. A lot of modules but not much content. Also his training is mostly with Facebook ads, there isn't any training on influencer marketing or Google Shopping, SEO or funnels. Today, you need to out-do your competition by incorporating as many methods as you can. Once such course that will teach you EVERYTHING you need to know is Ecom Elites. You can learn more about this course here. The course i'm recommending is priced the same at $197 but there's also an "Ultimate" version that includes Google shopping ads, a sales funnel academy, a done for you 7 figure funnel and more. This is priced at $297, just a hundred bucks more. 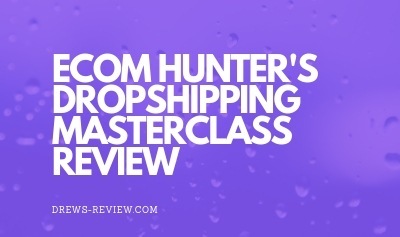 With over 170 videos, it completely eclipses Ecom Hunter's Drop Shipping Mastercourse. Check out my eCom Elites review that I did and you'll see the difference. It's my #1 recommended dropshipping course right now. Decently priced but content lacks when compared to my recommended course at same price point.